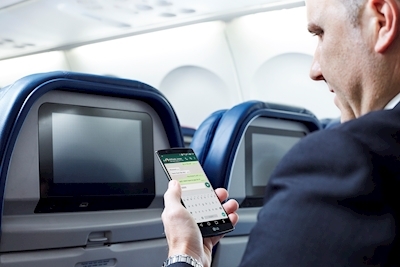 Starting October 1st, Delta Air Lines will be the first U.S. global carrier to offer FREE mobile messaging in-flight! This means that you’ll be able to stay connected with friends, family, colleagues, and clients on the ground and exchange real-time messages via iMessage, WhatsApp and Facebook Messenger. Know that free messaging will be available on all Gogo-enabled Delta flights, including all aircraft with two or more cabins. Customers will be able to access free messaging through Delta’s Wi-Fi portal page, but messaging will be for text use only and will not support the transfer of photo or video files.